UPDATE: Looks like these may be already on shelves at retail! Check your local Barnes and Noble! 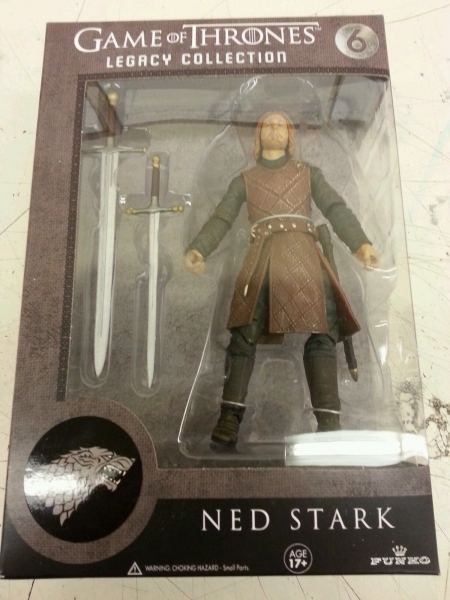 Trust old eBay to provide us with the first photos of Funko’s 6″, super-articulated Game of Thrones figures. These were going to be revealed in about a week anyway, so really they did a pretty good job of hiding them until the last minute. These should hit stores within a month or two (maybe even sooner). 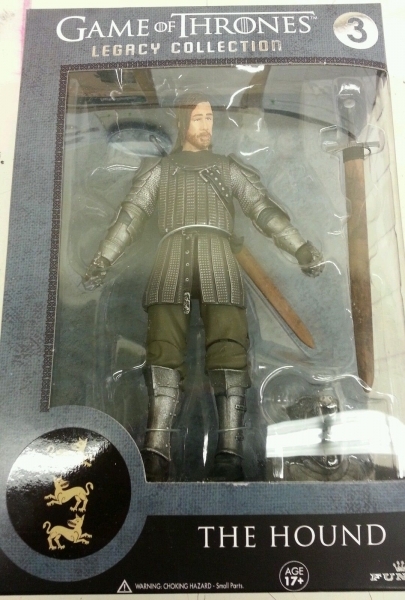 The auction states that Tyrion Lannister is also part of the wave, but not available for sale. I think they look pretty good. The likenesses aren’t perfect, but they’re as good as SWB 6″. This makes me even more excited for Firefly. Yeah, the knees/elbows thing is so stupidly reversed imho. But they certainly seem to have delivered on their promise of "just like SWB6"! Haha, weird – the real question is…. What's the price? The real story is how Funko is pulling all of this off. Have all those bobble heads and pop vinyls sold enough to front all this new tooling? Don’t get me wrong, I will get a couple GoT figs, and who knows how many reaction 3.75″ figures, but Mattel and Hasbro have been telling us the collector market has been sliding. And along comes this flood of product. . .
Well, I think anything GoT is a license to print money right now. They're hitting at the height of its popularity (well, maybe a year late from the peak, but still very high). The real question is how Firefly will do. 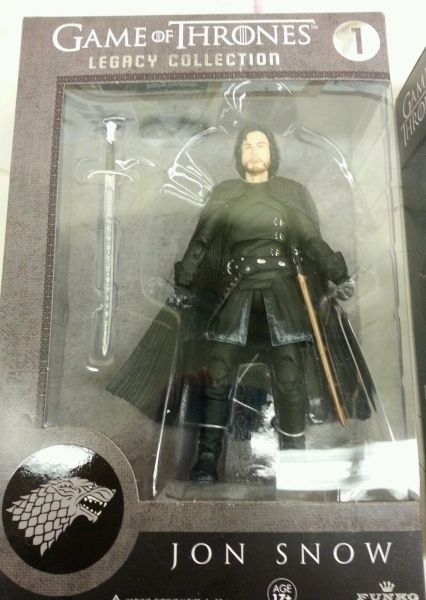 I'll buy the entire set – maybe two of them – but it won't sell as well as GoT. As for Hasbro and Mattel…sure, they talk about the collector's market sliding while NECA is delivering us Xenomorphs and ED-209s and Spider Gremlins and Colonial Marines and Dutches and Cherno Alphas. I think the difference with Funko is the same one as NECA – MUCH smaller overhead, fewer safety regulations, better inroads to collector-focused retailers. NECA's stuff is great, but they produce just a couple licenses and just a couple figures per license at a time. Funky seems like a very different animal that I just don't understand. You might say that GoT is hitting while the iron is hot, but that isn't the case with their other licenses (Pulp Fiction?). The unique tooling costs alone for all these lines is tons more than NECA. I don't think Pulp Fiction counts because that's ReAction, and those figures can't cost anywhere near what it costs to produce Legacy. Hell, they may be using the bigger profits on ReAction to help fund Legacy. However, they have announced Firefly for Legacy and hinted at X-Files. I doubt either of those will be as popular as GoT. Frankly Pulp Fiction would probably sell better than either of those (and I wouldn't discount Pulp Fiction, honestly – that movie is still massively popular and influential). I also suspect Funko is under less pressure to deliver as large a profit margin as Hasbro or Mattel brand managers are. What's amazing to me is that these are showing up at retail and yet, not a single pre-order is available online as of this writing. 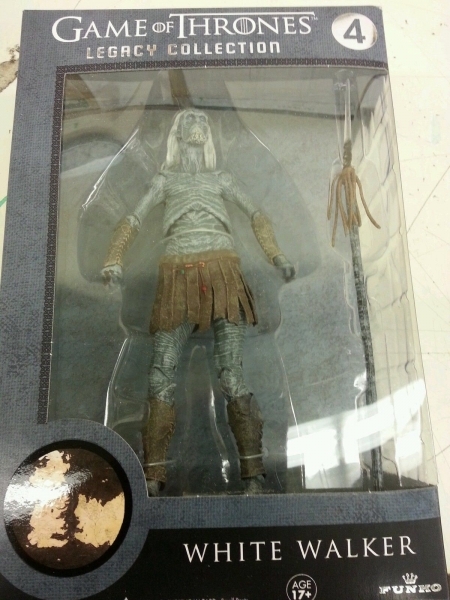 Will BBTS and Entertainment Earth announce that they have these in stock sometime in the next week…? I recall seeing or reading something at some point which implied they were attempting a day-and-date launch with these being available at the 'moment' they are unveiled at Toyfair, so I'm not terribly surprised to see them at retail a week early. A ballsy move on Funko part, and brilliant if it had truly worked. Actually allowing sales to hit while the iron is hot. That's kind of he bummer about Toy Fair and SDCC, we get all excited but have to wait months (at best) for the hot new reveals. I'd say it worked as well as it possibly could have in the Internet age…when was the last time a toy debuted on retail shelves instead of the Internet? Because technically that's what happened here. It's pretty damned amazing. And these will probably hit en masse just as the show starts up again in April – pretty impressive, and excellent timing. I have to give Funko credit, those already look better than what I expected. Curious to see how the quality is though. 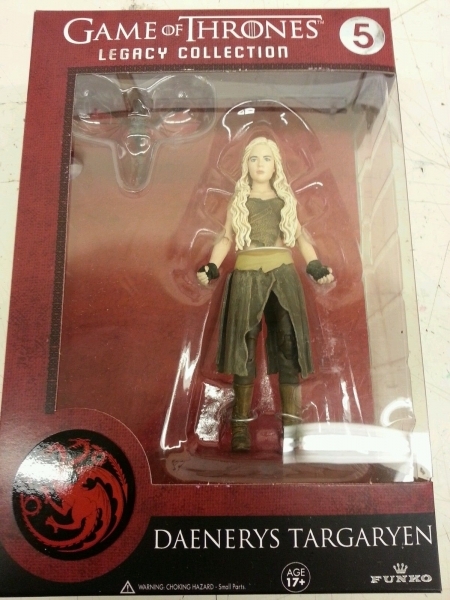 Does Daenarys come with some baby dragons or some eggs? If not, sorry Kitty, but Lockheed has a new friend now!